A team of Vatican investigators is sent to the British West Country following reports of paranormal activity at a remote church. What at first seems like a hoax soon begins to feel like something far more dark and disturbing. Has something deeply sinister awakened? Occasionally, a movie gem will slip through the net. A film that, once you finally manage to watch it, you fall instantly in love and wonder: what on earth took me so long? For me, that film is 2013’s The Borderlands. Made for purely commercial reasons and on a very low budget, The Borderlands could easily have been another ridiculous (just put the camera down people!) found footage flick. There have, of course, been a surplus of those post Blair Witch and Paranormal Activity (and, yes, post Cannibal Holocaust). However, the directorial debut of Elliot Goldner, is no dodgy cash grab. The Borderlands is a smart and very scary found footage horror - in my opinion, one of the best examples of the genre. There are three key reasons why The Borderlands is so effective. For a start, there is a clear and convincing need for those pesky cameras. The vatican wants to keep a record of what occurs during paranormal investigations. As a result, technical expert, Gray (Robin Hill), places recording devices in and around the cottage where the team is staying, in the church itself and also gives each team member a handy head cam (no camera to carry if things get spooky). While not specified in the film (because who really wants scenes of tension depleting exposition? ), Gray has ensured that all recordings are saved to a cloud-based device - where they are ‘found’ later. Meanwhile, Deacon (a powerful performance from Gordon Kennedy) is the perfect straight guy. However, as we understand from the film’s opening scenes, he is also a man with a mysterious and disturbing past. 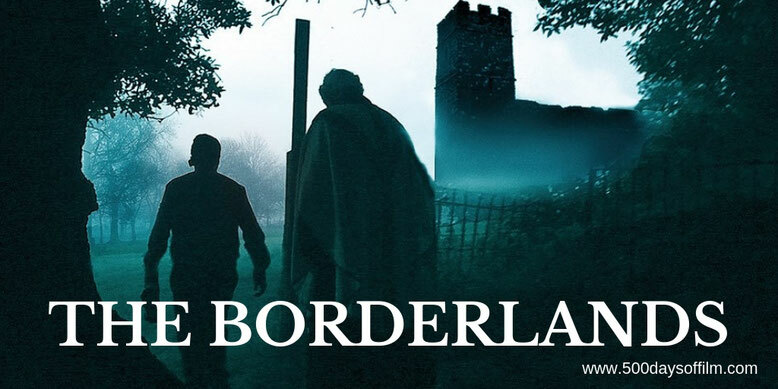 Finally, The Borderlands is effective because it is actually scary - both in terms of proper, leap from your seat jumps and also in atmospheric and unsettling scares (the movie’s soundscape is particularly chilling). While the ending has proved divisive among audiences, The Borderlands is a real horror gem that, five years after its release, is still exciting new audiences (like me!). However, do beware, this film lingers. The Borderlands didn’t have the budget to shoot its beautiful mist and rolling cloud interludes and so stock footage was used instead. In the US, The Borderlands is called Final Prayer. Have you seen The Borderlands? If you have, what did you think of this film? Let me know in the comments section below or via Twitter. You can find me @500DaysOfFilm. Oh my word what a film I’ve just watched it twice back to back! Can’t believe I’ve only just found this & by absolute chance. So glad you love this film as much as I do James! Third time’s a charm! !